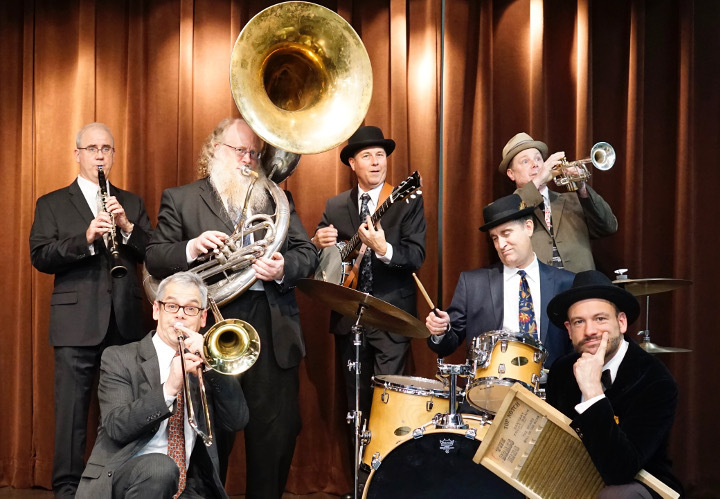 The Selby Avenue Syncopaters perform early jazz and blues known as Dixieland, hot, and traditional jazz from many eras--ragtime to World War I to Prohibition to the Great Depression to World War II and into the middle of the 20th century. 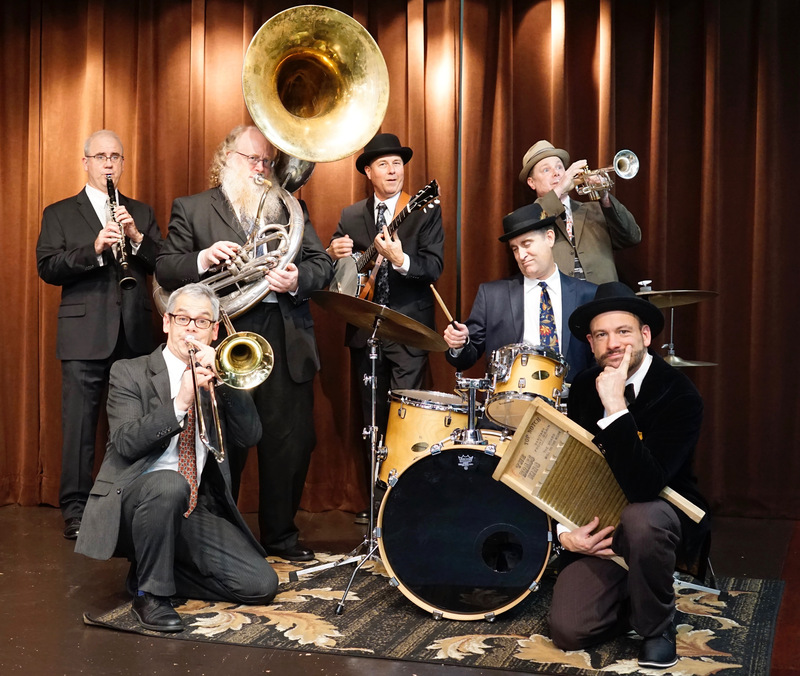 Enjoy the music of the Original Dixieland Jazz Band, the New Orleans Rhythm Kings, Jelly Roll Morton, King Oliver, Spencer Williams, W. C. Handy, Ma Rainey, the Louisiana Five, Kid Ory, Duke Ellington, Zep Meissner, Jimmy McPartland, and many more. The group has been exploring early jazz from the 1920s and 1930s in a small combo format since they formed in 2014. A Dixieland revival in the late 1940s and 1950s created more great music. Recently the band has extended to earlier music for historical sites remembering the centennial of America's involvement in World War I. The group includes vocals, clarinet/tenor sax, trumpet, trombone, tuba, banjo, and drums. Whenever you need to tap your toes or dance with your whole body, just listen to this band play. And, if you ask, we'll share what we know about the jazziest music from the first half of the 20th century. For upcoming events, see our schedule on Facebook!